Chrome, shiny, white, black, brass are just some of the finishes putter makers use on their flat sticks but they all have something in common, they are in contrast (sometimes vivid contrast) to the green grass of putting surfaces. Mantis Golf however believes that’s the wrong approach. At 355 grams the ‘B’ Blade is right in the middle of modern putter weights and heel and toe weighting is engineered for a higher than average resistance to twisting which is a big help to those of us that don’t hit every putt dead in the center of the face. 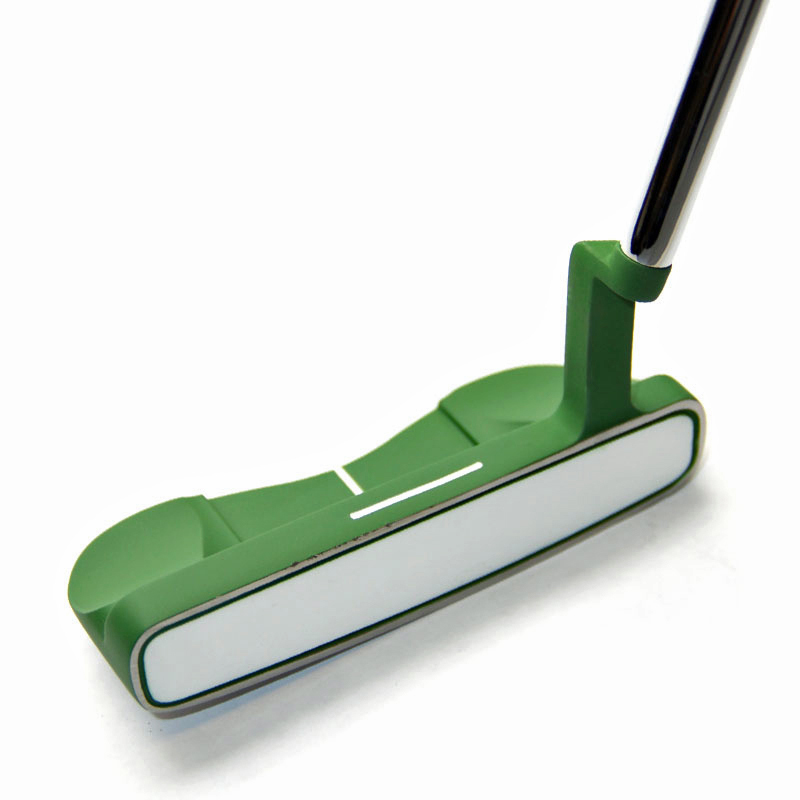 The face insert is white polyurethane and gives a soft feel at impact, a feel that is certainly confidence producing. There are two alignment aids, a white line perpendicular to the face on the top edge and a second on the head that standout nicely against the green of the head. I tested the Mantis ‘B’ Blade thoroughly, for 10 rounds and found it very well suited to my shoulder-and-arm stroke plus there’s no question the weighting really helped when I happen to miss the sweet spot. The matte green color did seem to help my focus, more on the ball and less on the putter head though it took a little time to adjust to the different look. 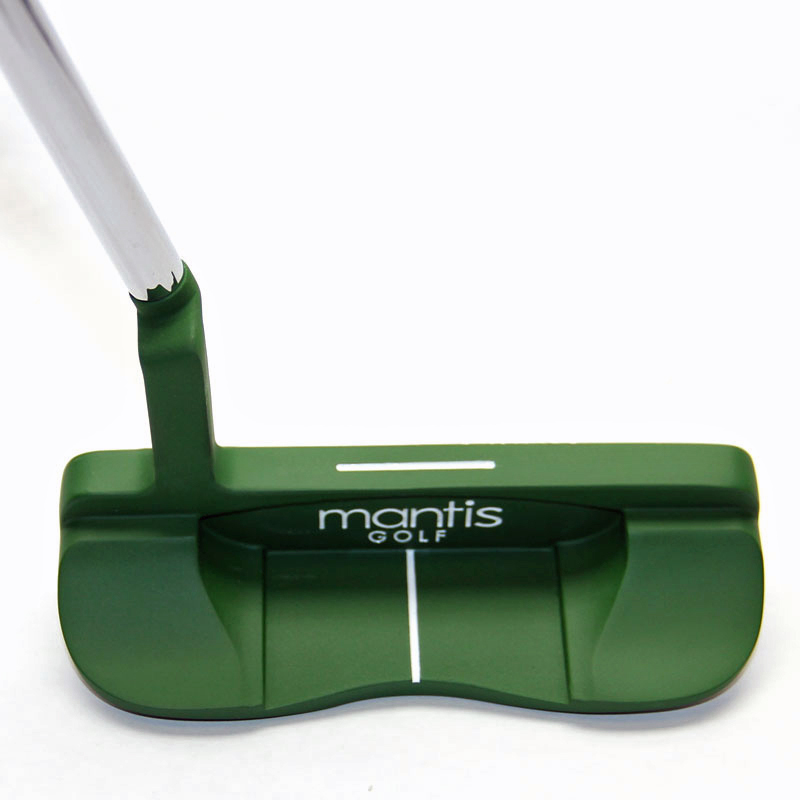 Bottom line, if you are in the market for a new putter you should add the Mantis ‘B’ Blade to your short list of possibilities. The ‘B’ Blade is available on MantisGolfCo.com for $159.99 and there’s a 30-day money back guarantee.